PrintTec is a specialised technical wholesale company for the electronics industry. Since 1999 we supply equipment, tools and consumables to the professional end user, meant for production, assembly and / or service and repair of electronics. For NeoDen Tech products we are the distributor for the European market since 2015. We can offer you the product and the support necessary direct or through our growing dealer network. We stock machines and spare parts for the European market in the Netherlands. NeoDen has customized their line of tabletop pick & place machines for the European market, ensuring the equipment will meet the European laws and demands of the European customers. Together we will do our best to enable you to start-up your automated SMT assembly today and for the future. 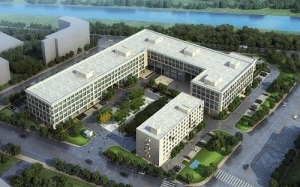 Established in 2009, NeoDen Technology Co.,Ltd., is a high-tech corporation located in Westlake Science and Technology Zone, HangzhouChina. We are a developer and a manufacturer for the electronic automation industry. Our primary product is a desktop automatic pick and place machine. In China, we are the leaders in this technology. Our machine runs a very stable platform while working with precision and high-speed. Our light weight body and user friendly interface has won high praise from our clients. As a premier technology company, innovation is at our core. We have found the solution to the problem of rising maintenance and labor costs, lack of productivity and quality control that small and medium manufacturers face on a daily basis. If you produce LED lighting, LED monitors, automobile electronics or smart telecommunication, we can provide a suitable solution for you. We have a nationally recognized research and development team with a professional management team, sales team and service team all committed to serve you. Since our company’s founding, we adhere to the mission statement ”create value for our partners in the spirit of honesty, tolerance, innovation and great service”. We are proud to create value for the electronics automation industry with innovation and sincere cooperation.